Easter Dinner On A Detox? You Do Not Have to Eat Like a Rabbit! Whether you intend to host Sunday’s dinner or arrive as a guest, don’t come up empty-handed! Give 100% to your detox. Share the Healthy and make your own new traditions! Below are a few of my favorite recipes from appetizers to desserts. Follow these recipes for a fabulous, gluten, dairy and soy free Easter Dinner! Place the can of coconut milk in the refrigerator for a minimum of 4 hours. Open the can. The coconut cream will have hardened at the top of the can and the liquid will be at the bottom. Use a spoon to scoop ½ cup of the hardened coconut cream off the top of the can. Try not to get any of the liquid from the bottom of the can. Add the cold coconut cream to a large bowl. Use an electric mixer on medium speed to beat the coconut cream until fluffy (about 3-4 minutes). Add the stevia extract, lemon juice, lemon zest, and vanilla. Mix until well combined (about 1 minute). Spoon into a serving bowl and serve immediately with fresh fruit. Store covered in the refrigerator. Once refrigerated, the dip will harden a little and may need to be rewhipped before serving. In a very large bowl combine Rice Chex, O’s cereal, Craisins and Almonds. In a small bowl stir together butter, Worcestershire sauce, seasoned salt, garlic powder, and onion powder. Pour butter mixture over cereal mixture then stir with a spatula to coat. Pour into a 11×17″ or larger baking dish then bake for 45 minutes to 1 hour, stirring every 15 minutes. Stir in pretzels when Chex Mix is cool, then serve! In a large pot, cook the chopped red pepper in the olive oil over medium heat. Once the pepper is soft, add the spinach, and stir until it starts to thaw. Add the coconut milk and garlic powder and cook until heated through. Add the cubed Daiya cheese, and stir constantly until melted and creamy. Pour the dip into a serving dish and top with more chopped red pepper. Toss your veggies with the dressing and refrigerate overnight. Roast the turkey for 1½ to 1 ¾ hours, until the skin is golden brown and an instant-read meat thermometer registers 165 degrees when inserted into the thickest and meatiest area of the breast. Check the breast after an hour or so; if the skin is overbrowning, cover it loosely with aluminum foil. Brush chicken with the butter/ghee and seasoning mixture you prepared in the bowl. Place some under the breast skin if possible. If skin starts to darken too much while roasting, lightly place aluminum foil over the chicken and leave in place for the rest of the cooking time. Adjust an oven rack to the middle position and preheat oven to 450°F. On a large rimmed baking sheet lined with aluminum foil or parchment paper, toss green beans with olive oil. Squeeze lemon halves over beans. Slice lemon halves and add to baking sheet, if desired. Roast until browned and almost tender, stirring occasionally, about 10 minutes. Remove from oven and stir in garlic. Roasted until fragrant, 2 minutes longer. Season to taste with salt and pepper. Cut off the ends of each sweet potato. You may remove the skin if desired; I did not. Transfer to a large bowl, add a tablespoon of olive oil and mash with a fork or masher, or use a mixer or immersion blender. Add 1 sprig rosemary and a pinch of pepper, and taste. Add extra rosemary and/or salt small amounts at a time until you achieve the desired taste. Place butternut squash in a single layer onto the prepared baking sheet. Add olive oil, maple syrup, brown sugar, cinnamon and nutmeg. Gently toss to combine. Place into oven and bake for 25-30 minutes, turning once, or until tender. * Add pecans during the last 10 minutes of cooking time. Serve immediately, garnished with rosemary, if desired. Optional: banana or fruit, granola, nuts, etc. In a medium bowl, add the banana. Mash it with the back of a fork. Add the chia seeds, maple syrup, and vanilla to the banana. Stir to combine. Add the almond milk. Mix well, ensuring chia seeds are evenly distributed. Cover the bowl. Refrigerate overnight, or at least 7 hours. Stir well. Serve cold. Optional: Top or layer with fruit, granola, nuts, etc. Add coconut milk, ice and peaches to Vitamix or blender. Using a microplane, add a few gratings of fresh lemon zest. Blend on high-speed until smooth. PREPARE THE CRUST – Put all the crust ingredients into a food processor and process until it’s a sticky coarse meal. Scoop out 1 – 2 tablespoons and put in the bottom of the cheesecake pan and press down firmly. Set in the freezer to harden while you prepare the filling. PREPARE THE FILLING – Put all the filling ingredients into a Vitamix and blend until smooth and creamy.Remove the cheesecake pan from the freezer and pour the filling on top of the crust.Return the cheesecake pan back to the freezer for about 2 – 3 hours or until hard and firm. ASSEMBLY- Remove the cheesecake from the freezer after its hardened and set at room temperature for 5 – 10 minutes to thaw slightly, but not too long because it will become too soft if left out at room temperature. Garnish the tops with homemade coconut cream, crushed walnuts, shredded coconut, lemon zest or lime wedges. 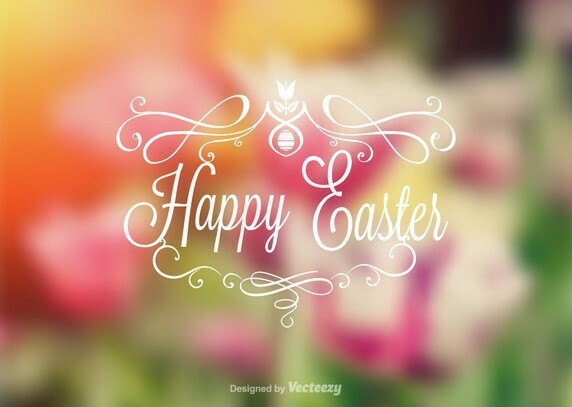 From all the Staff at Functional Endocrinology of Ohio, we wish you all a very blessed Easter! 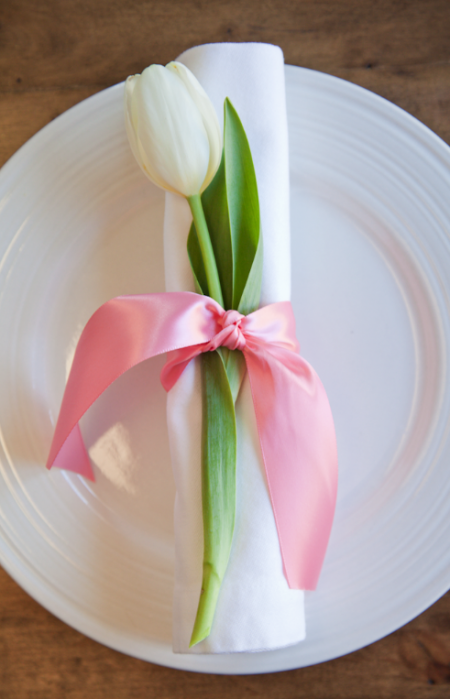 “Really Simple Easter Place Settings.” Boxwood Clippings RSS. N.p., 17 Mar. 2014. Web. 22 Mar. 2016. “Dairy Free Fruit Dip – The Wholesome Dish.” The Wholesome Dish. N.p., 21 Jan. 2016. Web. 22 Mar. 2016. “Quick and Easy Vegan Spinach Dip. – The Pretty Bee.” The Pretty Bee. N.p., 13 Jan. 2015. Web. 22 Mar. 2016. “Lemony Marinated Vegetable Salad with Quinoa – My Life Cookbook.” My Life Cookbook. N.p., 15 Mar. 2015. Web. 22 Mar. 2016. “Lemon & Herb Roasted Chicken Recipe | Paleo Newbie.” Paleo Newbie. N.p., n.d. Web. 22 Mar. 2016. Mar. “Oven Roasted Green Beans | Culinary Hill.” Culinary Hill RSS2. N.p., 25 June 2015. Web. 22 Mar. 2016. 2016. “Rosemary, Olive Oil & Sea Salt Mashed Sweet Potatoes – Ari’s Menu.” Aris Menu. N.p., 17 Feb. 2014. Web. 22 Mar. 2016. “Cinnamon Pecan Roasted Butternut Squash – Damn Delicious.” Damn Delicious RSS2. N.p., 07 Oct. 2015. Web. 22 Mar. 2016. “Banana Cream Pie Chia Pudding – The Wholesome Dish.” The Wholesome Dish. N.p., 03 Mar. 2016. Web. 22 Mar. 2016. “Raw Vegan Key Lime Cheesecake | The Healthy Family And Home.” The Healthy Family and Home. N.p., n.d. Web. 22 Mar. 2016. “Paleo Key Lime Pie Smoothie | Cook Eat Paleo.” Cook Eat Paleo. N.p., 15 May 2015. Web. 22 Mar. 2016.